The idea of dry firing often sounds boring, but it doesn’t have to be – especially for competitors. Dry fire is practicing shooting without ammunition. Because there are no real bullets and no loud noises, it can be done almost anywhere you have a safe direction and backstop available. 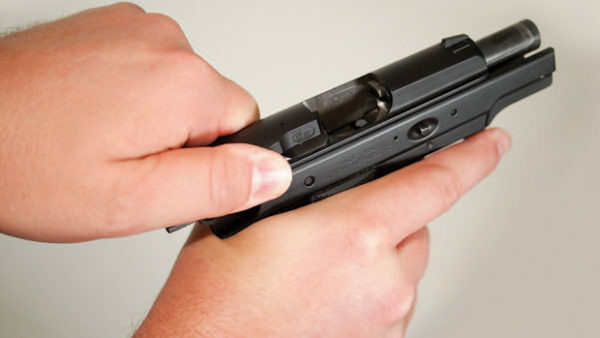 Most people are familiar with dry fire as a way to work fundamental skills like the trigger press or basic gun-handling like magazine changes. It’s a great way to practice without needing the time and money for a range trip. But did you know that there’s so much more you can do in dry fire? Speed matters in most competition shooting sports. When tenths of a second can be the difference between first place and second, the faster you can finish a stage with accurate hits, the better you’ll do. Fortunately, live fire isn’t the only way to learn how to get through a stage sooner. This is especially true because faster split times between shots isn’t the most important part of being faster overall. That time is mostly gained in gun-handling skills and movement. Both of those can be practiced in dry fire. 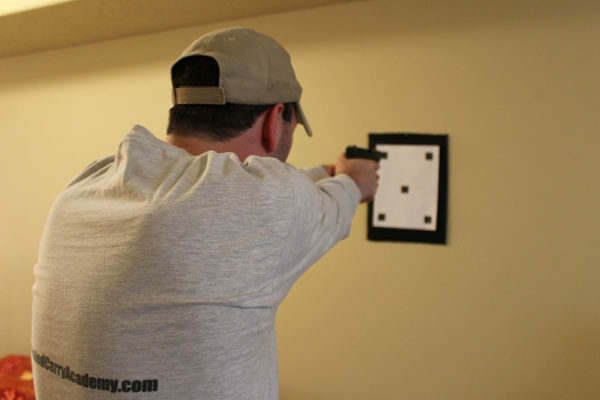 For example, drawing a pistol out of a holster quickly and safely is a necessary part of pistol sports like IDPA and USPSA, and it’s also something you’ll need to know how to do for games like 3-Gun. You could just stand in your dry fire space and draw your gun at the wall that is your safe backstop. Simply adding a target would be an improvement on that. 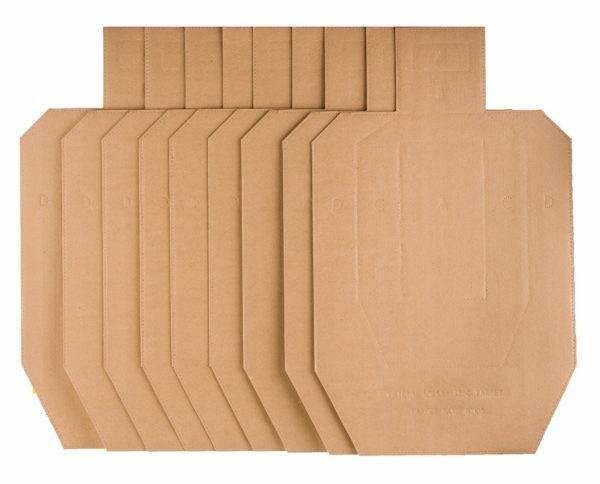 You can pick up some regular targets ($69 for 100) for your sport of choice, save a few for dry fire, and take the rest to the range for live fire practice days. If you want to simulate targets that are further away, the best choice is to use reduced-size targets. Nearly identical to the real thing, they let you work at distances that might not be available to you in your house by giving you targets that will look similar to those far away targets when you’re looking through your sights or optic. They’re also available in all sorts of shapes to look like everything from standard paper targets to different kinds of steel like poppers, plate racks or even Texas stars. Using an actual target will make your draw more realistic and help you learn how to put your sights where you want them. By paying close attention to the sights as you press the trigger, you’ll be able to get a pretty good idea of where your shot would have landed if you had real ammunition in your gun. Once you’re able to perform a safe draw, you can add what’s called a par time by using a shot timer, like the Pocket Pro II ($130). 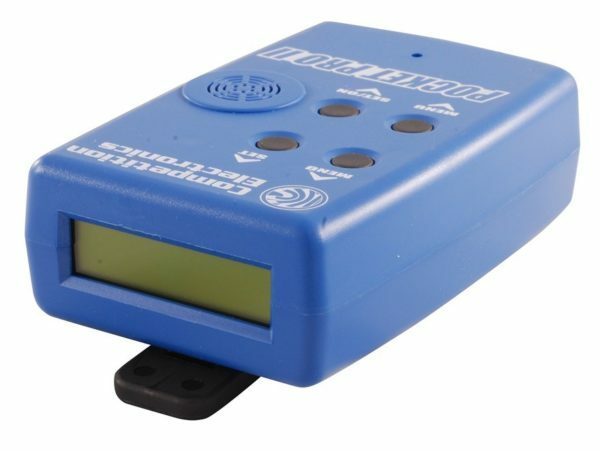 While shot timers normally work by listening for and recording the times when a shot is fired, they also have par time modes where you get not only the usual start beep, but also an end beep after a user-specified amount of time. You can get faster by setting a par time that makes it difficult for you to perform a draw and end up with your sights on target before the second beep. As you practice that more and more, you’ll find that it gets a little easier. Soon, you can start slowly decreasing the par time – and if you’re honest in meeting that par and making sure you get and see your sights on target, you’ll get faster when you do it live on the range too. 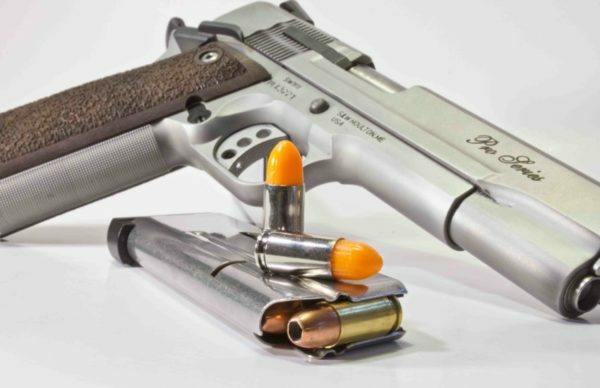 The same principles can be applied to other gun manipulations like reloads, switching between guns for multi-gun matches, and to moving into, out of, and between positions. We go over more of our favorites in Best Shot Timers. I just mentioned that dry fire can help you practice getting faster at dealing with different positions, and here are some ideas on positions that you can work on. Shooting boxes. 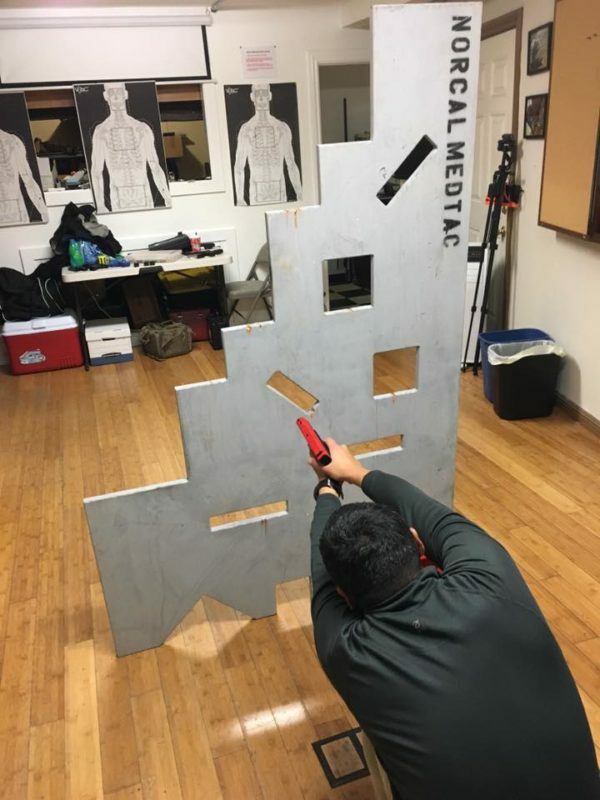 It’s fairly common in many action shooting sports to see a 3 foot by 3 foot box that you need to stand in, turn around in, or step into before you can engage targets. Fortunately, it’s easy to build a practice box inexpensively with a few pieces of PVC pipe and some 90-degree elbows. Larger shooting areas are often made of wood in real matches, and you can substitute with some 1×2 sticks. Barricades. You might have to shoot around a barricade or through windows or ports at many matches. While you could build a complete replica at home, it would be pretty heavy and would cost you more than my low-priced alternative. What I do is simply staple up a few full size targets on a regular target stand. 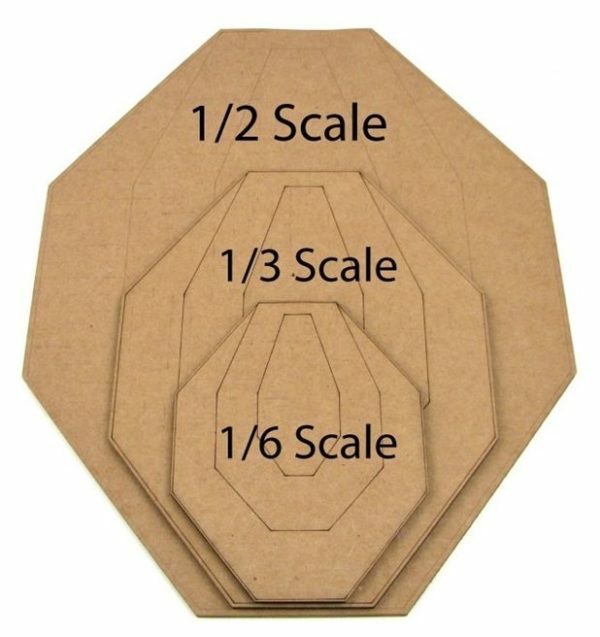 By stacking them vertically, you get the same effect as having to shoot around a wall, and you can just cut through the cardboard to create ports. Improvised obstacles and props. It’s not necessary for you to build something special for practicing in dry fire, though. This is especially true if your sport of choice is precision rifle shooting. While it’s probably not wise to go sit on the roof of your house or shed to practice shooting off angled surfaces, precision rifle (and 3-gun) match directors in particular are infamous for choosing the most unusual props imaginable to give you “support” for shooting long-range rifle. Given that, you can look around your house for all sorts of options, because the idea is to practice getting set up on anything that might get thrown at you. Like a weird rocking chair. 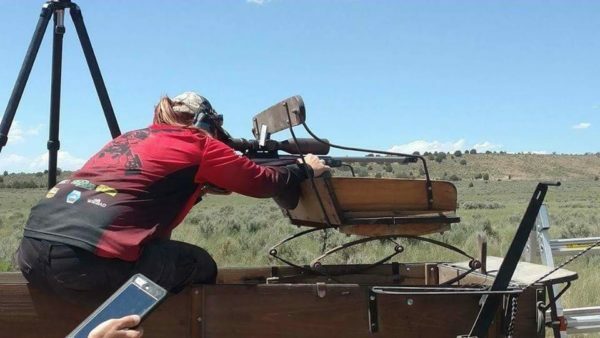 The important thing to remember as you experiment with creating shooting positions and practicing with them is to make sure that you continue to be mindful of the direction your muzzle is pointed and that you keep your finger out of the trigger while moving. Dry fire is a fantastic time to practice those principles so that they are completely ingrained by the time you get to a match. 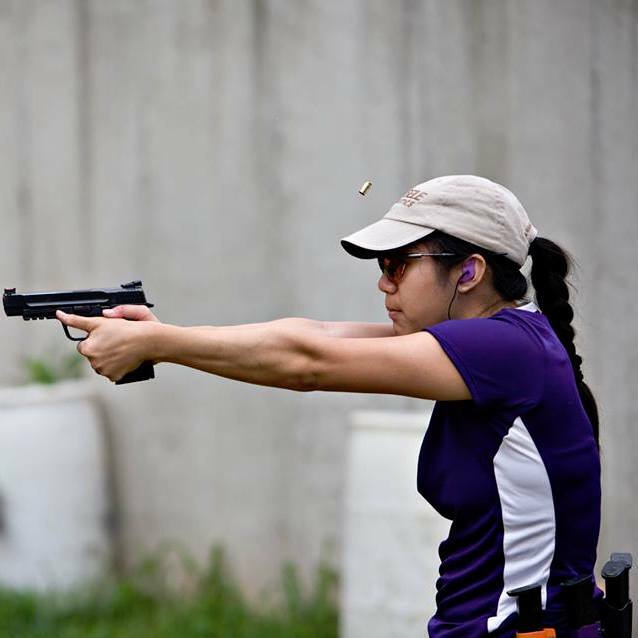 Dry fire isn’t only a place to work on general skills that you might need as a competitive shooter. It’s also the perfect tool to specifically get ready for your next major match. Often, stage designs are published well in advance of large matches, giving you a general idea of round count, target layouts, props, and the like. It’s a truism that what’s in the match book will look very different on the ground, but you can still gather useful information from it and use it in your dry fire routine. 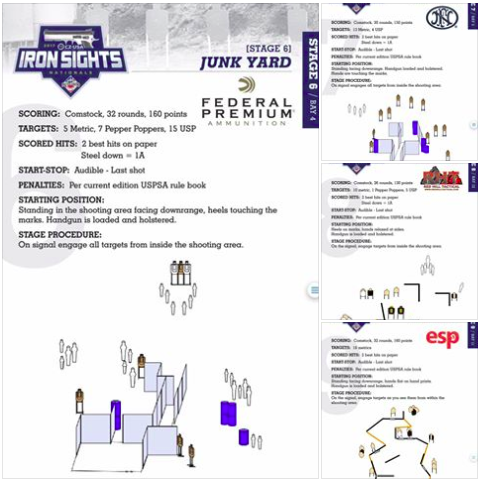 Some of things you might look for include particular target arrays that you can approximate for use in dry fire, unloaded or other unusual starting positions, transitions between different kinds of guns using tables or barrels, low ports, unstable platforms, strong- and weak-hand-only requirements, and the like. Your goal isn’t necessarily to try to duplicate a stage you haven’t seen in real life yet, but to make sure that skills you aren’t already practicing regularly aren’t completely new to you when you show up at the match. Now, then, doesn’t dry fire sound both a bit more exciting and useful? It’s always been a powerful training tool, but that doesn’t always make it easy to go do it on a regular basis. Snap Caps too boring? 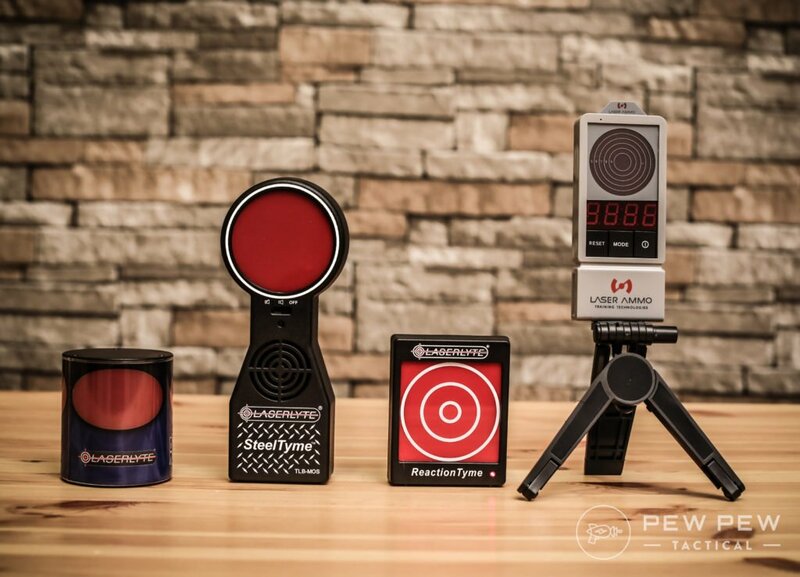 Check out our roundup of the best Laser Cartridge & Targets. Dry-fire too boring too? Try out a bunch of variations that include movement and more advanced functions with Dry Fire Training Cards. But now, even with just these few ideas as a starting point, I’m sure you can now come up with all sorts of other things you can do in order to stay interested in dry fire. Again, if you want the best gadgets…check out Laser Cartridge & Targets.